﻿ Website Designing Services Delhi| Website Designing in Delhi. 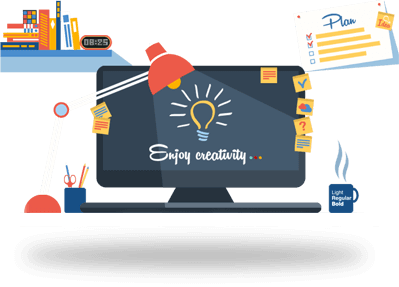 We, Creative Imaginator, are a leading web design company which provides best website designing services. Our Offered services are appreciated domestically as well as international level for their higher quality in terms of effects, features and styles. We are known for our unique services and commitment for work. We focus on balancing the component that is used in the web design process. An Effective Color Scheme - Selection of a color scheme based on your website theme which complements the logo, images, banner and other elements of your website. Consistency across all pages - Consistency among all the pages is highly required. It affects the moral of the visitor’s of website so make the arrangement of pages in a sequencing and correct order through which visitor can visit easily and get the information which they want to know. Typography that Suits your website’s theme - We use the typography after considering the target audience for website. Unique contact page design - Contact page design that attract the visitors on your website. A Clutter- free interface - We work on perfect layout, easy navigability and readability that make a good impression on your visitor. High Quality Images - Proper use of high resolution images and unique images. Story Telling - A flawless story which visitors can explore and a timeline of brand. Social Media Engagement - For wide connectivity of your business that can enhance the performance and social visibility through social sites.